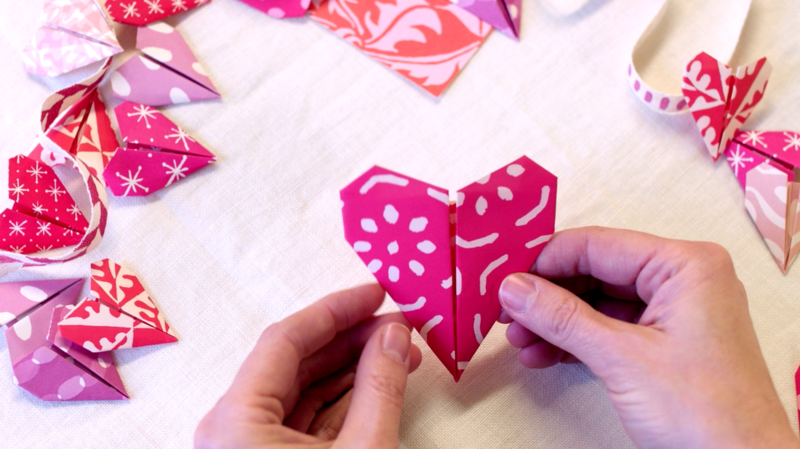 We have found a nice method of making origami hearts. The big ones are made from a sheet of paper 15 centimetres square, and the small ones from the same sheet divided into quarters. We are sharing well ahead of Valentine’s Day, in case like us, your muted enthusiasm for this holiday is transformed into a desire to make just fifty or sixty hearts, or actually maybe a hundred or so, in a variety of colours and string them up in garlands —in which case, you’ll need a bit of time.